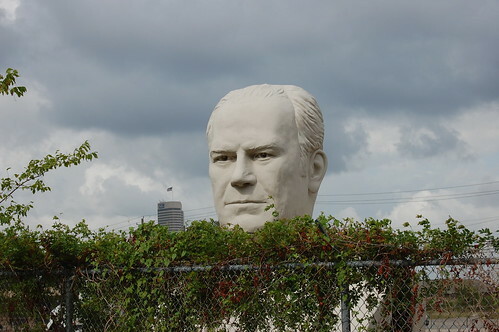 Post pictures of gigantic presidents' heads! Marika, your two favorites...TOGETHER! 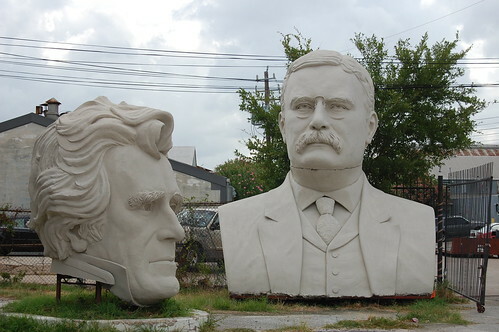 Presidents Andrew Jackson and Teddy Roosevelt. To see more of David Adickes' presidential sculptures and to name the presidents that I'm too tired to Google and identify, you can check out my full Flicker set. C'mon--you KNOW you want to see Richard Nixon's nose. 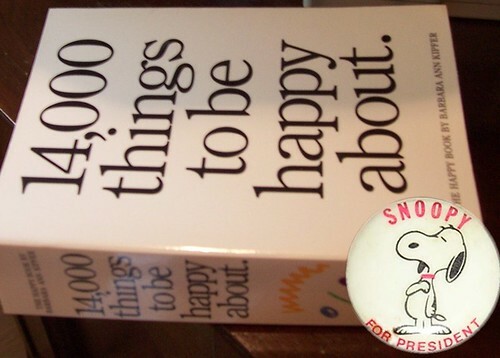 Meanwhile, if you comment with a page number between 1 and 611, and another number between 1 and 25, Candidate Snoopy promises to find you something to be happy about.